As a condition of membership to IPF, USA Powerlifting and all its members, athletes and personnel shall agree to be bound, without exception, by the IPF Anti-Doping Rules. USA Powerlifting shall agree to respect and fulfil all the requirements outlined in Article 17 of the IPF Anti-Doping Rules as may be amended from time to time to the best of its ability. ADeL – Submit your certificate once you complete your ADeL training. WADA Disclaimer – RE: Associating (ie, Competing, Coaching, Training etc) with a person serving a period of ineligibility. The following ALF form is for providing detailed contact information of all USA Powerlifting athletes who are notified you are in the Registered Testing Pool (ie, National Team Members or any USA Powerlifting Athlete instructed to do so), to help administration with performing Out-of-Meet tests. The form is to to be filled out online by the stated deadline each quarter and are automatically submitted to the Anti-Doping Chair responsible for OMTs. Failure to submit your ALF by the deadline, or to keep your whereabouts accurate will result in removal from teams and suspension. Meet Directors and Referees can find the current drug testing procedures under the Meet Directors Resource page. With the recent doping failures, the TUE committee will be making more regular announcements regarding Therapeutic Use Exemptions (TUE). If you have a medication that is prescribed that appears on this list, you need to file for a TUE. TUE’s need to be received NO LATER than 6 weeks prior to your intended competition. It is YOUR RESPONSIBILITY and YOURS ALONE to ensure the proper paperwork is submitted on time. 1. Testosterone or any derivatives thereof will not be approved by historical precedent in our organization. 2. We are having mountains of TUE requests for adderall or similar stimulants for ADHD. For those of you that are not aware, many medications used for the treatment of ADHD are amphetamines. If abused, they can enhance performance. We are not going to question your diagnosis of ADHD; however, we are now asking for more substantive information regarding your diagnosis. A letter from your doctor stating, “she/he has a hard time concentrating at work/school” will not suffice. We are now requiring formal ADHD testing via a primary care provider or psychiatrist. This is to ensure the integrity of the sport, as adderall is now being abused in epidemic proportions, with and without a physician’s prescription. 3. 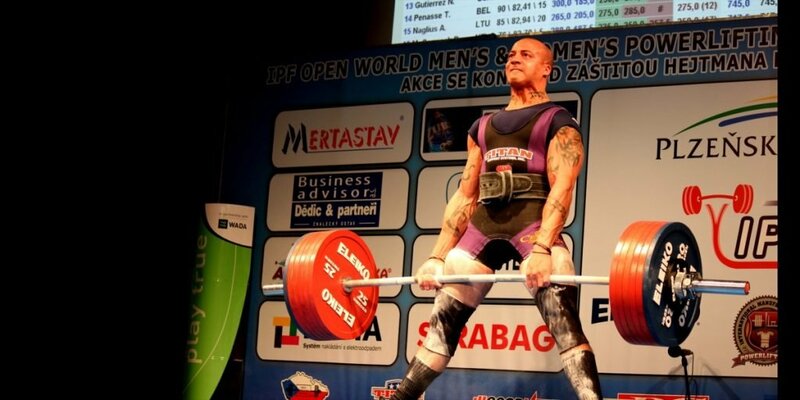 A TUE done for USA Powerlifting is NOT sufficient for international competition. ARNOLD COMPETITORS: be very, VERY aware of this. You will need to submit a SEPARATE TUE for the Arnold and any other IPF competition to the IPF directly.